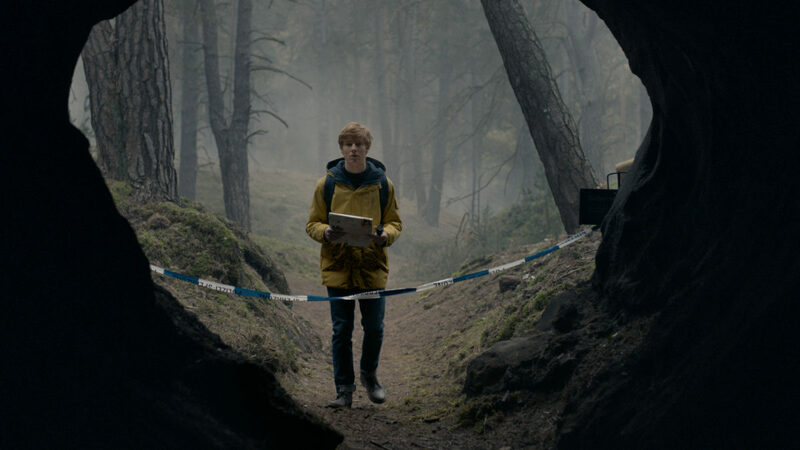 Dark is a Netflix show imported from Germany about time travel. It’s like Stranger Things in that it is a mash-up of several different genres, science fiction, serial killer and bleak German philosophy. It’s not like Stranger Things in that it is no fun and none of the characters are interesting. It’s not even as fun as Fringe, the alternate reality show, and it was deadly serious. I guess it’s about as much fun as Kafka’s The Trial, which — spoiler alert — is no fun at all. Basically, the premise of Dark is insane: What if the person who invented the first time machine was doing it from only the perspective of helping out with his predilection for killing children for no reason? It’s as if the options were 1) install an incinerator in his creepy cabin in the woods or 2) invent a time machine to dump the bodies in the ‘50s. He went time machine. And he convinces another guy that they are murdering the kids in the name of science. Why kids, scientists? When the toady starts to grow some moral courage, it seems way, way, way too late since he has already actively participated in the killing of several children. And sure, maybe there is some reason that they use children. But since they didn’t mention it in Season 1, I will never know. And it wouldn’t be a German show without buckets and buckets full of faux philosophy about time and meaning and what life is all about. That part of the show is brutal, never-ending “who are we really” talk that would blow your high college roommate’s mind. I was reminded of how much I dislike numerology and faux astronomy. The characters endlessly discuss the nature of time without any real insight. Time travel is always logically problematic. Even the best time travel stories frequently don’t make much sense. For instance, in The Terminator, Sarah Connor and Reese hook up and conceive resistance leader John Conner. But if there’s no time travel, John is never conceived. But The Terminator is fun, so you don’t think about that kind of thing too much. All Dark does is think about it. There’s not one, but two hooded Mad Max types lurking around, manipulating people with magic boxes, mysterious diaries (one old copy, one copy from the future, one copy being created in the present, all the same diary) and dire warnings of time meddling. People are not only confronted with the reality of time travel, but also immediately have to start making responsible time-travel decisions, like whether or not to take their father back to his own time when he is misplaced in the ’80s, otherwise they won’t exist. Hey, that one is like Back to the Future, except no fun at all. So how do they time travel? Well, it turns out that there is a crazy tunnel that sends you back and forth through time. Some people are pushed through the tunnel, some people just find their way to it. The tunnel wasn’t explained at all and I’m still annoyed by it. Someone made a special metal door for it! Well, I guess to be fair, an explanation is offered up about how the tunnel came to be, but not about how people discovered it and started to decorate it without thinking that maybe a warning on the door would be a good idea. In addition to the time travel aspect, there is a running story of disappearing children who are being experimented on, their corpses found with burned eyes and blown-out eardrums. And the birds are dying, dropping from the sky with burst eardrums. This isn’t much of a spoiler, but what do these two things have to do with each other? Crazy person. Dark begins with the unexplained suicide of Michael Kahnwald. He has left a note that his adoptive mother stares at in a box for three episodes. Kahnwald’s wife, Hannah, is having an affair with Ulrich, who she has been obsessed with since she was a little girl. Ulrich’s 11-year-old son, Mikkel, goes missing near a cave in the first episode. Ulrich finds a door that he can’t open in the cave. No, not the time door, a different cave door! The story just goes on and on like that, an avalanche of events that frequently have nothing to do with the time travel plot, like if one of the subplots on the Bold and Beautiful was about a time-traveling child-killer, but somehow that was no more important than anything else. Anyway, Dark has a lot of characters, a very complicated situation, the need to re-learn the complicated situation in different times with different actors playing the same characters, with everyone doing a kind of European-sullen thing so you can’t tell them apart from their performance or distinguishing characteristics. (Okay, one guy has facial scars.) It’s as if you had to remember each of the Von Trapp children and then identify what they would look like when they were in their 40s, and then figure out what their grandparents were like when they were in their 20s, along with maiden names and the grim realities of post-war Germany. Also, lots and lots of issues are introduced and then never dealt with. For instance, we see Regina Tiedman cradling her naked breast in one episode, later we find out that she has breast cancer. Her husband finds out through a very non-HIPPA call to the doctor’s office. (Let’s see here, oh, yes, your wife has metastasized breast cancer. Can I help you with anything else?) And then, no one ever mentions it again. You may argue that it influences some of her actions. But then there is another subplot where she was bullied as a girl and is finally confronting the bullies which also, perhaps in a better way, explains her actions. So there is a lot going on with Regina. None of it is fun! There is a massive red herring about where the time travel portal comes from, in that it is in close proximity to a nuclear plant, but that never really goes anywhere, either. They are hiding radioactive waste in barrels! People routinely approach the barrels? I guess they are lead? And then when the inspectors come, the barrels are in a truck that is just driven around town, but you know, never mentioned again. The breast cancer and radiation are probably connected, but why? To what end? What is the show trying to say? Radiation is bad? Dark just keeps throwing things out there without really deciding what it wants the message to be. Worst of all, it’s not a story; it’s a series. There is no resolution to anything in the final episode. There’s a little bit of Stephen King, a little bit of David Lynch (Frequently unexplained injuries! People crying in places where they should be happy! ), and all the worst parts of the world champion of navel-gazing movies, The Unbearable Lightness of Being, but with time-traveling child-killers. 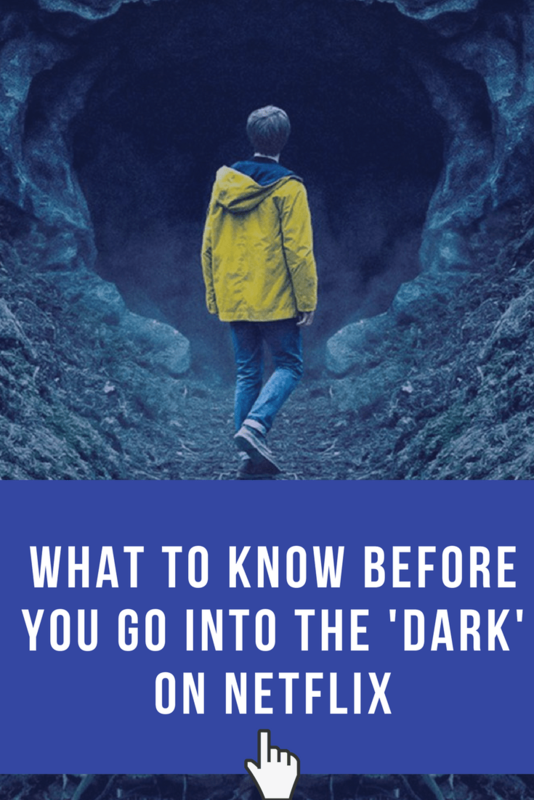 Do not watch Dark! I actually feel a little bit bad that I’ve gone on so long about how much I didn’t like it. And, of course, TV shows are under no special obligation to be fun, particularly when the title is Dark. But this show really could have used some fun, so I felt obligated to mention it. Thanks for reading! Get our free Guide to 75 Binge-Worthy TV Shows. It helps you choose a TV show to binge based on how much time you have.